The 33-kilometre distance between the French port city of Calais and the English port of Dover seems miniscule, but to refugees stranded in Northern France, the shores of Britain could not be any further away. Barely escaping with their lives from their war-torn homelands, thousands of unaccompanied minors embark on journeys through the Levant and across the Mediterranean to reach safety in Europe. The majority of the 90,000 in total unaccompanied minors seeking asylum in Europe are orphaned or sent by their parents who fear for their lives. The children are mostly from Syria, Iraq, Afghanistan and Eritrea. Many asylum seekers set a hopeful eye towards Britain, holding on to a fading idea of “The British Dream.” And what is the British Dream for refugee children? It is an opportunity to attend school, learn English, make friends, and regain their childhood that they were so cruelly robbed of. Yet, the asylum process grows lengthier with each passing day and desperation is at its peak in Europe’s largest slum. 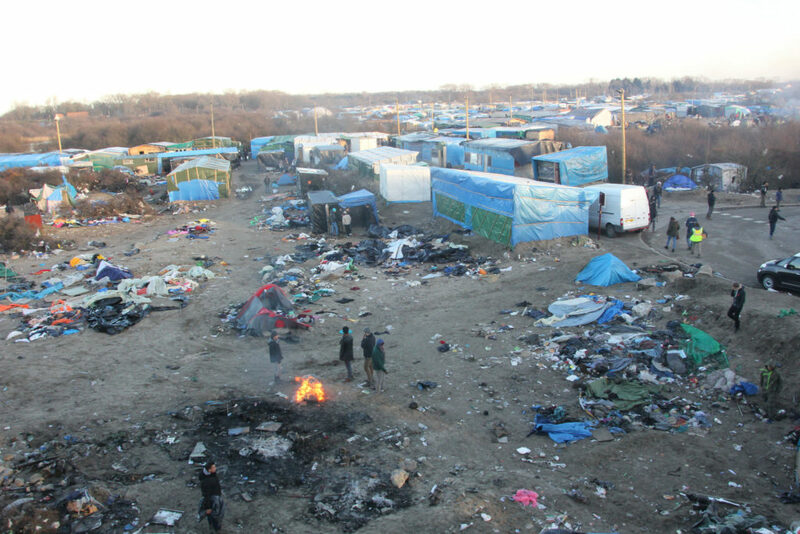 The migrant camp at Calais, dubbed “The Jungle”, houses approximately 10,000 refugees, 1,000 of which are unaccompanied minors. The number of unaccompanied minors has increased by 51% Many of the children eager to reach the UK have relatives in the country, thus granting them the legal right to be reunited with their families. The application process can take anywhere from a few weeks to several months. Some children have been in the camp for more than a year. The living circumstances at The Jungle are appalling. The area is peppered with makeshift tents, cafes, and shops; disease breeds in the highly unhygienic conditions. Undoubtedly, The Jungle is no place for children who should be in school – learning new things and exploring their lives as what they are – children. Sadly, some children have reached the limits of their misery in The Jungle. Such was the tragic case of a 14 year old refugee from Afghanistan, Raheemullah Oryakhel, who was killed in a hit and run on a motorway into Calais on 16 September. The teenager had climbed on top of a UK bound lorry when the driver swerved and threw the boy off. He fell onto the road and was fatally hit by a car. The driver did not stop. Raheemullah had applied for asylum several months ago and without any progress in his application, he became desperate and opted for climbing a lorry bound for Britain, just as so many other refugees do night after night. The boy wished to be reunited with his older brother who lives in England. According to UNICEF UK, Raheemullah’s relatives had prepared a room for him in their home in Manchester. That room will now remain empty as another life in the refugee crisis is lost. Raheemullah Oraykhel is the youngest known refugee to die trying to get to the UK. According to UNICEF UK, a survey showed that refugee children in Calais attempt to board lorries and risk their lives in various other ways to reach the UK as many as 2,110 times a week. Labour peer Lord Dubs also commented: “It’s disastrous this kid has been killed, sadly it is not surprising because the British Government continues to drag its heels. These children with family in the UK have homes to go to so there is no excuse for delays.” Back in March, Lord Dubs successfully passed a legal amendment to the Immigration Act that would require the Home Office to treat unaccompanied minors with relatives in the UK as potential British citizens. Lord Dubs himself was a child refugee during the Second World War when the Nazis invaded Czechoslovakia. In 1939, Lord Dubs fled Prague for London through the Kindertransport. He was just six years old and one of the 669 Czech Jewish children saved by English stockbroker Nicholas Winton. Unfortunately, not a single child has yet been brought to the UK under the Dubs Amendment. The refugee children of Calais have the potential to be part of the future Britain – our teachers, MPs, lawyers, entrepreneurs – if they are granted the opportunity to cross the Channel and chase The British Dream. The harshness of winter is upon us and just 33-kilometres away, over 10,000 lives will endure a continuing path of uncertainty. Until our governments mobilise, they will face rejection and despair, a feeling that could only match the hardships they so longed to leave behind them.